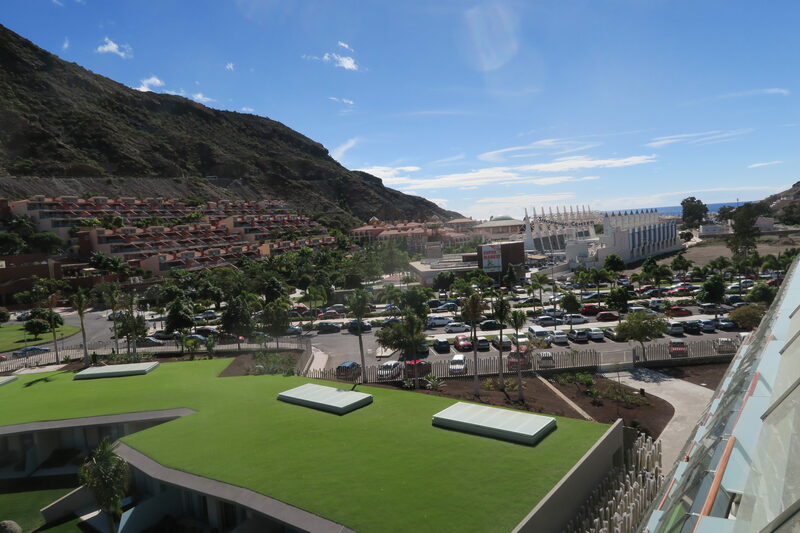 The hotel just opened at the end of 2016. It is a five star hotel, but you could notice some start-up problems once we stayed there in mid January. Some elevators were not working, paint stains on walls and floors, but nothing big. 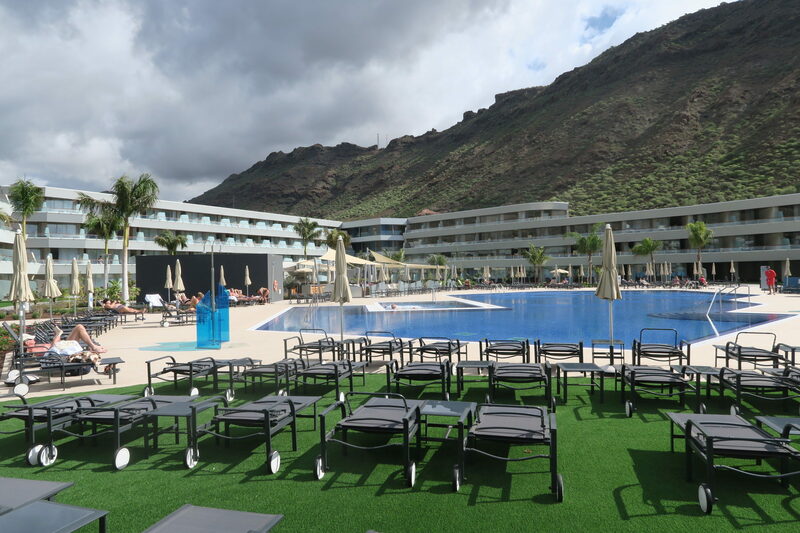 It´s a good family hotel with a heated pool, a kid´s room, many sun beds around the pools and some palms treas around to give a holiday feeling. I miss a green area with walking paths. We chose to stay here since I am a gold member of Club Carlson, it was newly built and they offered a decent price for a 5 stat hotel including half board. The hotel is located at the start of Puerto Mogan, which means it´s furthest away from the beach. But it´s a small town and it takes only 5-10 min to walk down to the centre. 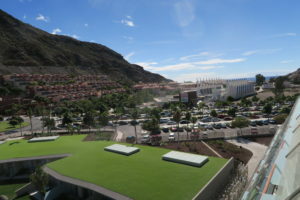 Close to the hotel is a good sized supermarket, Hyperdino. The bus station is 5 min away. 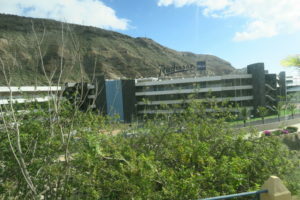 The hotel is located 54 km from the airport and it takes about 40 min by taxi. 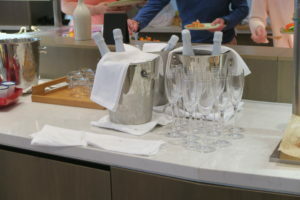 Upon checkin we were welcomed with sparkling wine or mineral water. We arrived a couple of hours early so we had to wait for our room 30 min to get ready. However, if I would not have asked for an upgrade we would not have got it. 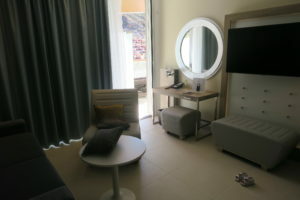 We had ordered Junior suite, but upon checkin they said that room does actually not exist, it´s the same as a superior room. That means we had payed some 20 euro too much for the room. But we were upgraded from Superior room to 2 bedroom suite. That was good for us since we were 3 adults and 1 baby. Our gold member welcome gift was ”desert sushi”, very tasty and nicely presented on the plate. No welcome letter. 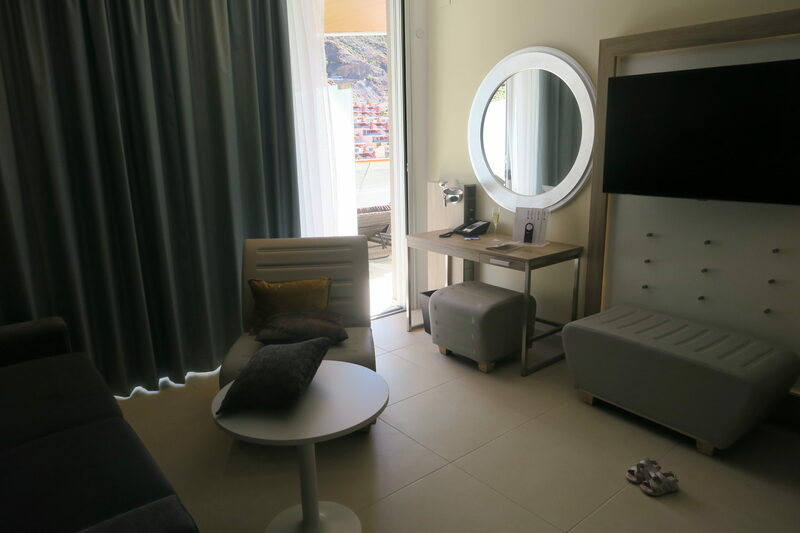 The 2 bedroom suite had a main door followed by separate doors for the two rooms. 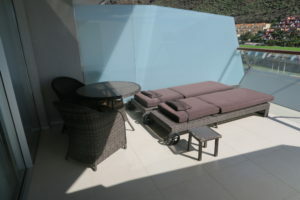 The balcony is big, 30m2 shared between the two rooms. Both rooms had separate tea boiler with a set of Nescafe, teas, sugar and milk. In both rooms you get bath robe and slippers. The beds were excellent German made with great comfort. The larger room had a bathtub and a separate shower and two sinks. There was a big bed, closet, sofa with a table and an office table with a chair. The TV was around 30-35 inch. It offered except TV channels, radio stations also for example Youtube access from the TV. The 2nd room was smaller with only a shower, but had also two sinks. There was an office table with a chair, big bed and closet. The TV was around 30-35 inch. This TV had only TV channels and radio stations. We had wished for a baby cot, which we got after some time. However, they did not have any pillows to the bed. 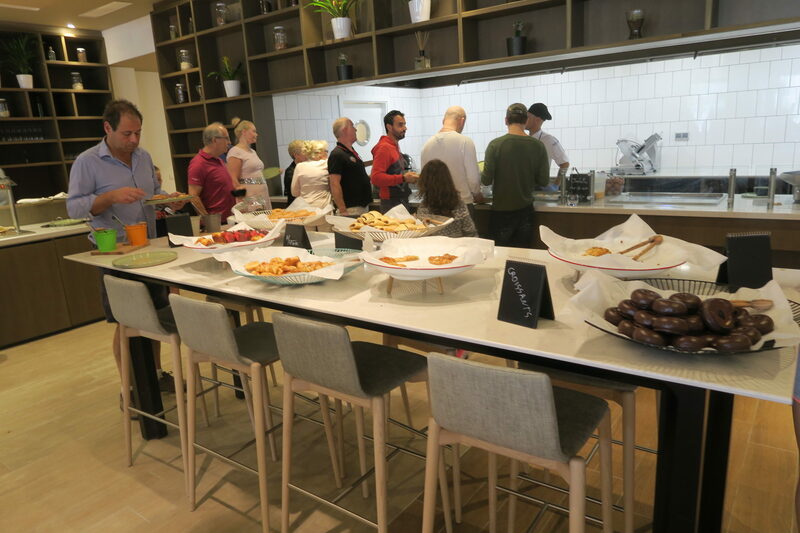 When you book a stay directly from Club Carlson´s webpage or from charter companies you can order the room without food, with breakfast or with half board. In the half board you get breakfast and dinner, both as buffet. The breakfast is very good with a chef preparing omelettes and Belgian waffles. Tea and coffee is served at the table. Sparking wine is available during breakfast. Dissatisfying with too few kinds of bread, but however they offer many kinds of pastries like muffins and croissants. 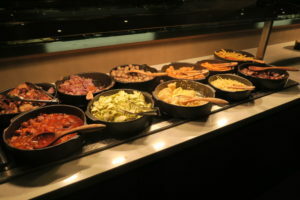 Many kids of warm breakfast items like bacon, sausages, potatoes, pancakes and eggs. The breakfast area is too small to fit all people during rush-hours, especially considering that the hotel seemed too be not fully booked. For dinner there is a chef preparing some meat and fish on your order. 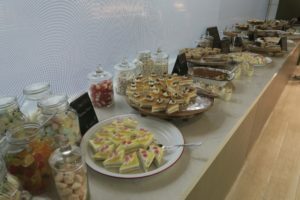 The amount of food on the buffet should be more for a five star hotel, but for a few days stay it´s enough not to get tired. The desserts are worth a big plus offering many kinds, big sizes and good taste. The wine menu is large with prices starting from 17 euros per bottle. A bottle of mineral water is 3 euros. Beer can be ordered with or with our alcohol. 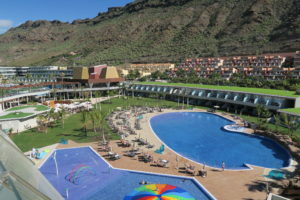 The hotel has several pools, of which one is heated. There are many sun beds, more than needed since everybody has there own sun bed on the balcony or terrace. There is a child club with a separate room with certain opening hours. The daily activities are presented at a bill board. 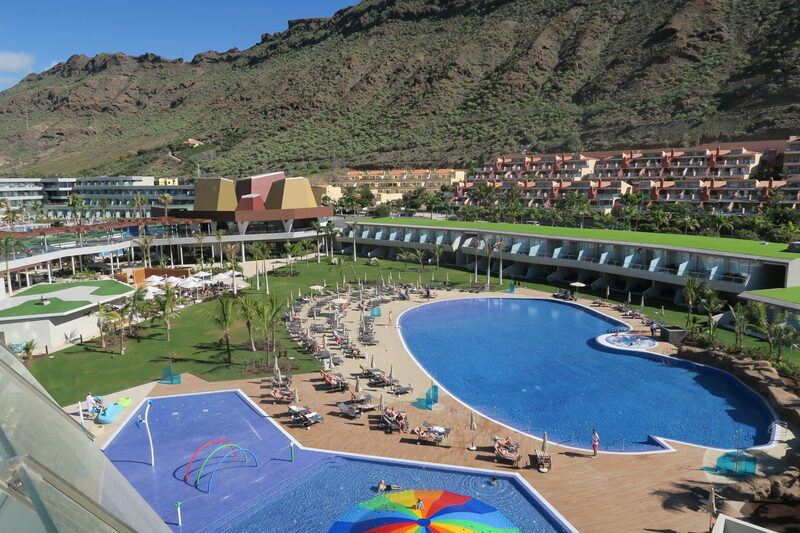 In the evening there is entertainment, as on charter regular all-inclusive hotels. These additives are presented at a bill board. The gym is small and very limited. Not worthy of a five star hotel. But on the roof they organise yoga/pilates each day. 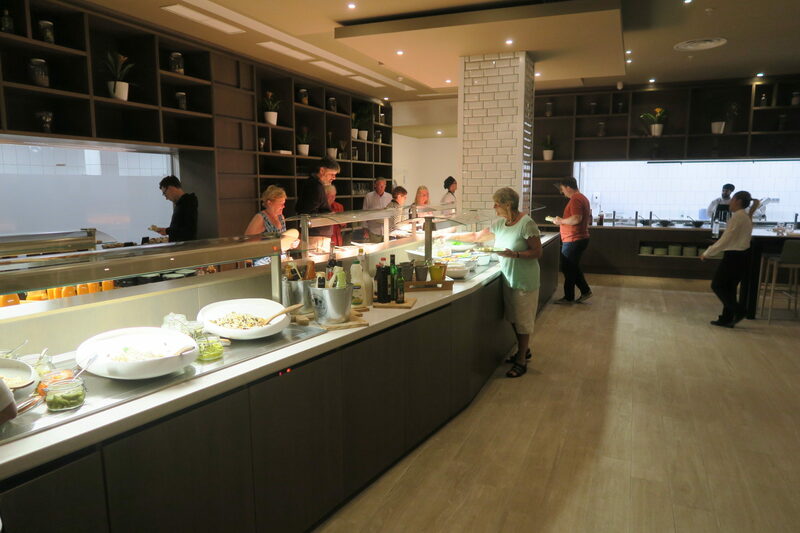 There is a a la carte restaurant a pool bards which means you never have to leave to area to find something to eat. Free and fast WIFI in the room and everywhere in the hotel area. 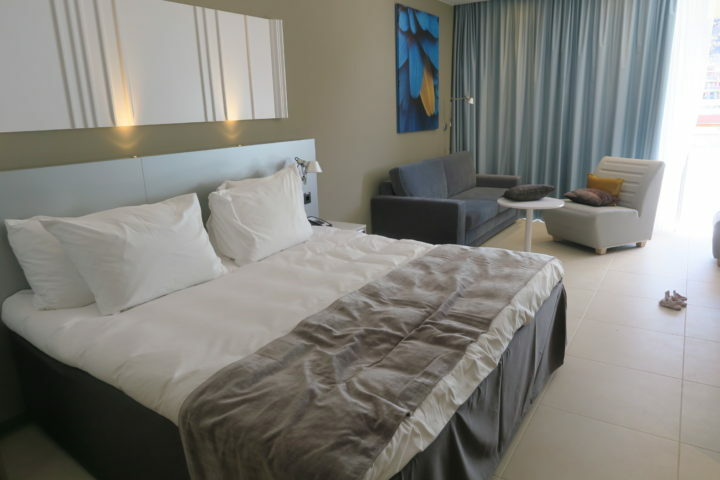 For the price of around 200-250 euro per night for a double room Radisson Mogan offers a calm environment, good standard, heated pools, child club and good food. The service could be better, but I think it will improve with time. 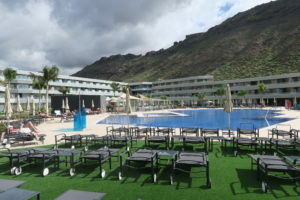 If you want to stay in Puerto Mogan and your budget allows the price, then the hotel is a good choice. 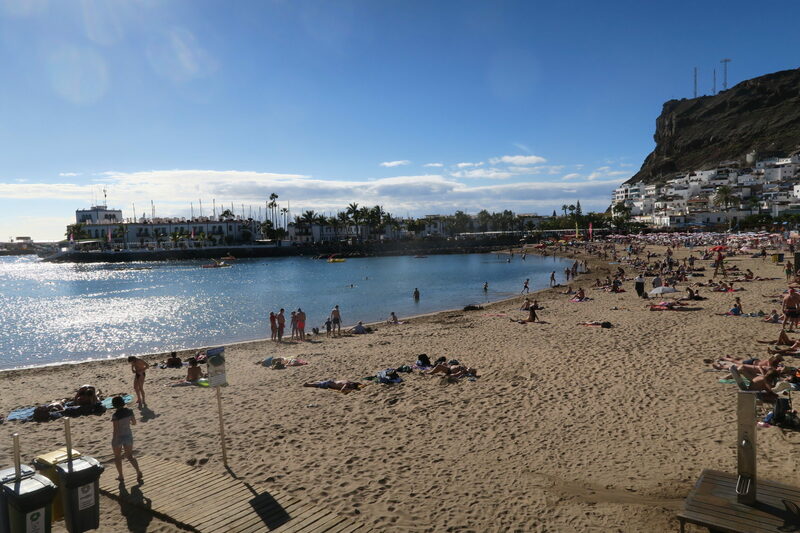 It´s a much better family hotel than those in Bahia Feliz, especially since it´s less crowded (at least comparing these two locations in January 2017). If you stay for a couple of days I would recommend taking the half board. But for longer stays here I would rather split the stay between only breakfast and half board. 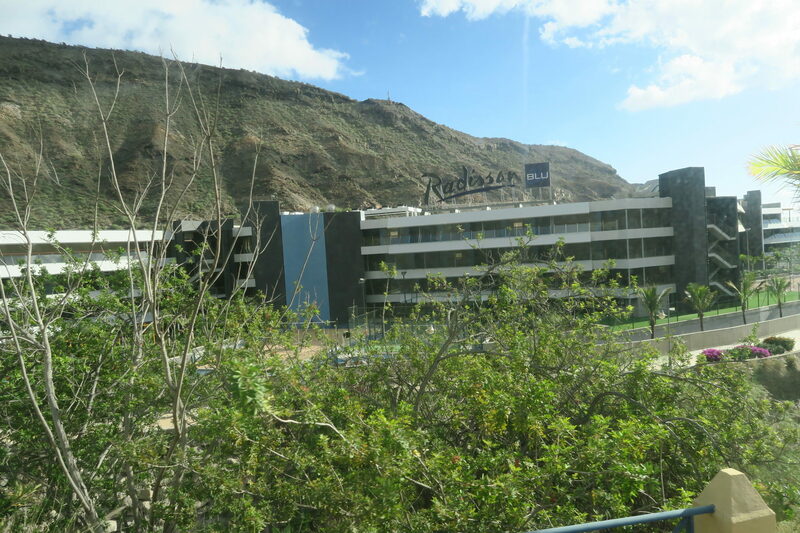 Tillbaka till "Radisson Blu Resort, Gran Canaria, Mogan, Spanien"